I’m always looking for easy holiday entertaining ideas so I can enjoy my friends and family during this festive time of year without taking on more than I can handle. It makes it far easier to get in the Christmas spirit if you aren’t overwhelmed with a long to-do list. The holidays should be a time of merriment and togetherness, but often add more activities and tasks on top of our busy schedules creating extra stress. Instead of hiding away all month, I just look for ways to do things easier (pretty much my life’s mission!). Over the years, I’ve found lots of tips and tricks to get through the busy holiday season with less effort and less stress. 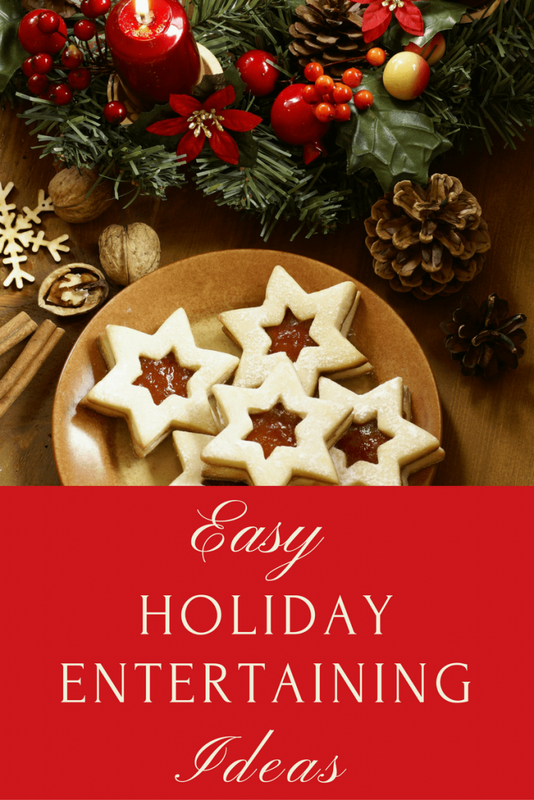 I hope these simple holiday entertaining ideas help you enjoy more time with your friends and family too. Let’s face it, aside from the fear that no one will show up, the most stressful part of throwing a party is the food. If we don’t give our guests something to nibble on, there’s a greater chance they’ll notice the cobwebs in the corner of the ceiling and more pressure on the host to be delightfully entertaining. I have 5 kids, 2 dogs, and a cat. My house is never spotless. And I can be captivating, if I’m lucky, for maybe 60 seconds. I rely on food to keep my guests busy. Within 5 minutes of walking in her home, she had a full appetizer spread set out. She told me she always kept those items stocked because: 1) they were snacks she enjoyed daily anyway and 2) she always wanted to be prepared for unexpected guests. Since that day, I’ve come up with my own “impromptu party supply list” and it has made life so much easier and more enjoyable! I don’t always keep it stocked, but I do try to fill it before busy entertaining seasons like the holidays. Ideally, guests will enjoy having an evening out to enjoy others’ company. Often, gathering a group of people together in one place is enough entertainment. As the host, if you put out some munchies and have some festive background music, you can consider your job well done. However, if you want to be certain your party will be lively, it’s always a good idea to build in some other entertainment. For the holidays, an ornament exchange or gift exchange is a fun and easy activity, especially if you conduct the exchange as a white elephant. 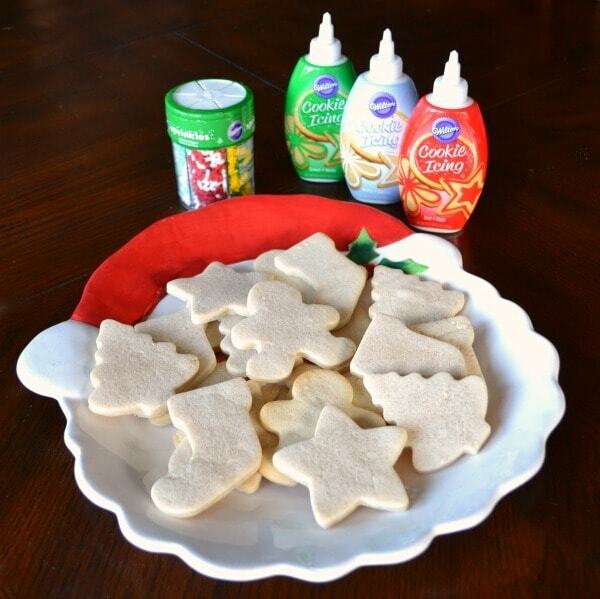 If you are inviting your friends’ little ones to the party, a VERY easy and popular activity is cookie decorating. All you have to do is bake up some sugar cookies and provide some frosting, sprinkles, and a space for the kids to create their cookie masterpieces. For my cookies, I used a recipe for Jackie’s Vanilla Cut-Out Cookies from Cookies for Kids’ Cancer: All the Good Cookies. 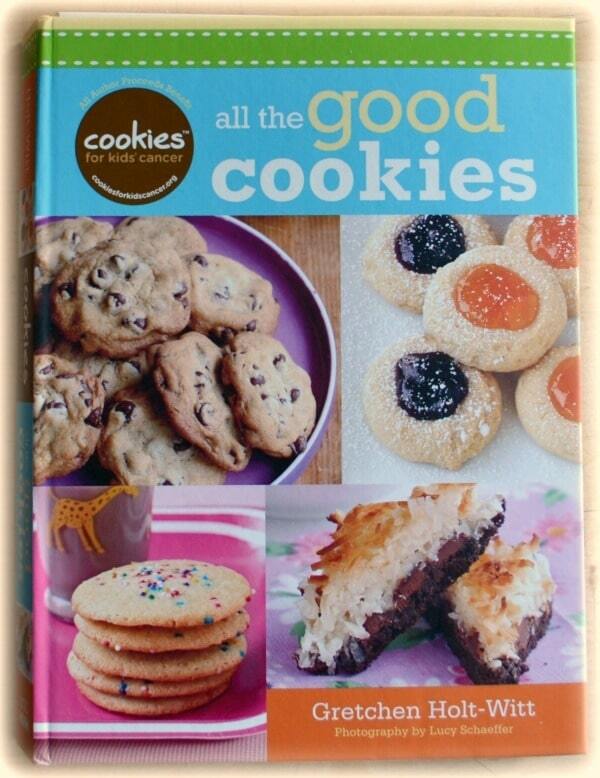 The cookbook is full of AMAZING cookie recipes (e.g Potato Chip Sandies, S’Mores Balls, and Pina Colada Cookies), including a section of allergy specific cookies. Unlike summer gatherings, winter holiday parties pose a special challenge because they have to take place indoors. As a result, you might feel pressured to limit your guest list to a small number that can comfortably fit inside your home. Make use of the garage – Use a Radiant Heater to make it a cozy retreat for small groups that want to break off for a quiet conversation. Keep a stash of folding chairs – You could rent these as needed, but since the rental fee is typically about half the cost of buying them, if you’re going to use them at least twice, it’s cheaper to buy your own. Move furniture to rooms that won’t be used for the party – If your guests can’t sit on it or use it to hold their drinks or plates, you don’t need it for the party so get it out of the way. I try to be organized, but life always seems to get in the way. Things take longer than I expect or an event pops up that I don’t have time in my schedule to make the right arrangements for. After YEARS of frantically rushing to the store to buy a gift at the last minute for a birthday child, teacher, coach, or hostess, I finally decided to start stockpiling gifts at home. Aside from keeping you stress-free, a gift closet is wonderful because you can stock it with bargains. Rather than paying full price at the store the day before an event, you can shop sales all year – snagging items at the best prices. Pick up gift bags and baskets at the dollar store and use them to quickly assemble gift sets. 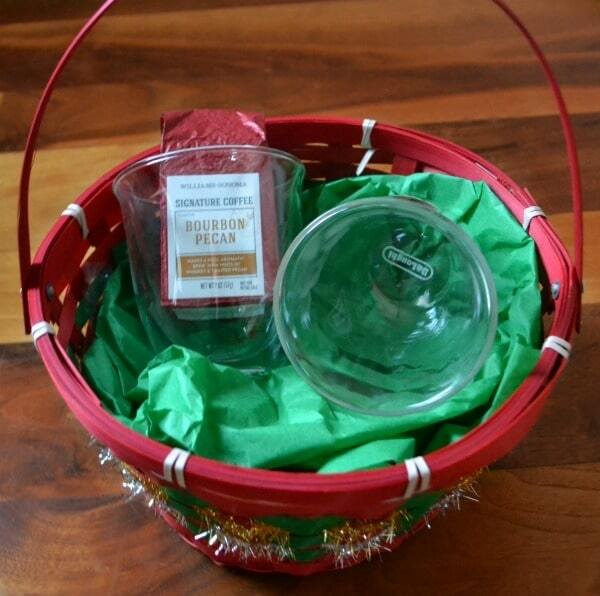 For example, I filled this festive red and green basket with a couple of De’Longhi cappucino cups and a small bag of gourmet flavored coffee for a quick and easy hostess gift. The Red Icons Two Slice 2003 Toaster. The heater – love the look; not something you have to hide away in the closet!